Today we’re going to talk a little bit about cardio vascular disease (CVD), its signs and symptoms and how you can recognize them. Chances are high that you or someone in your family will be affected by cardio vascular disease (CVD) at some point. You can reduce your risk of heart disease and stroke if you start now. Take the quiz below and schedule a visit with your healthcare provider, learn your family health history and know your health numbers. 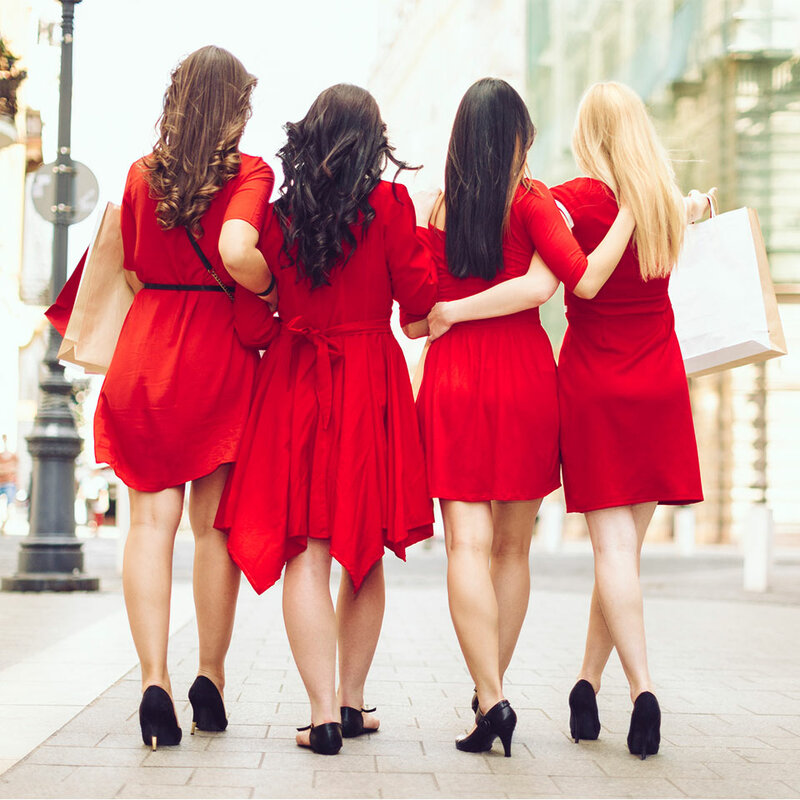 Everyone can support the fight against heart disease in women by joining the American Heart Association by wearing red on Friday, February 2nd, National Wear Red Day. It’s a simple, powerful way to raise awareness of heart disease and stroke. But, you don’t have to stop there. Be sure to visit GoRedForWomen.org to learn more about how you can participate in raising awareness and supporting the cause. Q1: What are some risk factors of heart attack and stroke you CAN’T control? E! Some risk factors you can’t control such as age, gender, family health history, race, and previous stroke or heart attack. But others you can still treat, manage, or control, with the help of your health care provider. Q2: What are risk factors of heart disease and stroke that CAN be managed? E! You can control or treat risk factors such as high blood pressure, obesity, smoking, high blood cholesterol, lack of regular physical activity, and diabetes. Lack of regular physical activity is in our control and everyone here is already one step closer to a healthy heart! Q3: The 4 key numbers that you should be aware of when it comes to knowing your heart’s health are total cholesterol, blood pressure, blood sugar, body mass index (BMI). True or False? True! Knowing your numbers in important! The American Heart Association recommends that you be aware of four key numbers: Total cholesterol, blood pressure, blood sugar, and body mass index (BMI). Q4: F.A.S.T is an easy way to remember how to recognize a stroke and what to do. What does F.A.S.T stand for? Spot a stroke FAST. Face drooping. Arm weakness. Speech difficulty. Time to call 9-1-1. Q5: Which of the following is a heart attack warning sign? D! It’s called a heart attack, but the symptoms can affect other parts of the body, namely the arms, back, neck, jaw and stomach. If you feel pain or discomfort in any of these areas of your upper body, you may be having a heart attack. Call 9-1-1! Q6: Which of the following is NOT a stroke warning sign? C! The signs or symptoms of a stroke can appear suddenly. Not every person has all of them. When you see ANY of them, act quickly. Q7: What is the first thing you should do in the event of a heart attack or stroke? B. Get someone to drive you to the hospital. Now! A! Call 9-1-1 or your emergency response number immediately! This is a life-or-death emergency and every second counts. This is most always the fastest way to get treatment. EMS technicians are equipped and trained to begin treatment on arrival.